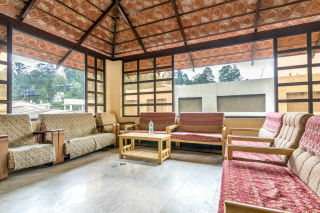 Located 1.5 km from Kodaikanal Lake, this is an offering of a private room in a guest house, which can accommodate up to three people. 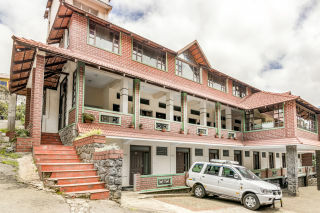 The property is in the heart of Kodaikanal and ideal for couples. Parking space and the services of a caretaker are provided. Your Space This holiday home has a pretty façade displaying exposed bricks, glass, and gable roofs, thus exuding an inviting charm. There are a couple of shared living spaces- one that houses a plush leatherette sofa set, a coffee table, and a beautiful chandelier, and another under a raftered ceiling with comfortable couches. The in-house restaurant is furnished with ample dinettes, so you can savour your meals in comfort. 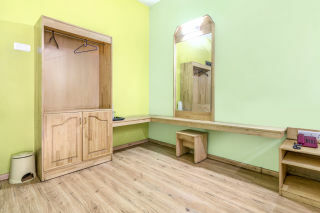 The room on offer has a modern double bed with side tables, a dresser for dressing convenience, and a spacious wardrobe. 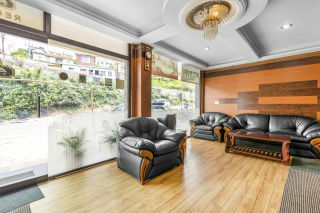 A wooden partition separates the living area which is furnished with an upholstered sofa and a coffee table for comfort. The attached bathroom is fitted with western sanitary ware. Only married couples are allowed Pick up and drop chargeable Laundry service chargeable Guests are requested to provide valid identification at the time of check-in. Had a great stay. All things were good. Services and the staff were very good. Enjoyed the stay to the fullest. Palani Railway station- 64 km. 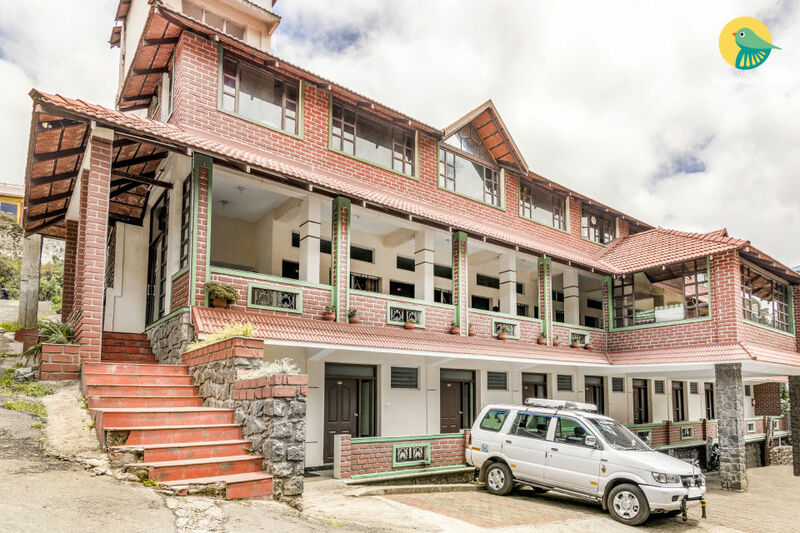 Kodaikanal bus stand- 650 M.